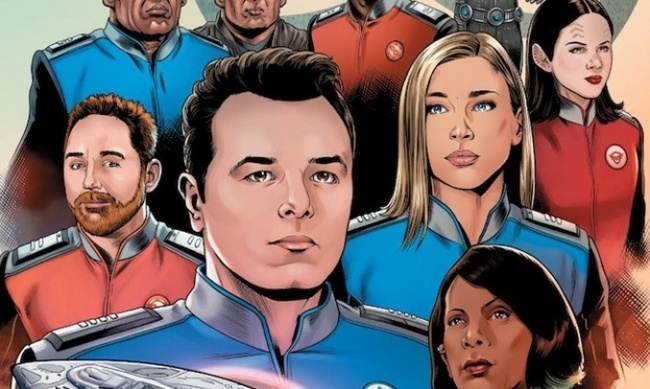 Seth MacFarlane’s space comedy-drama The Orville will get the comics treatment from Dark Horse Comics, which announced two two-part “episodes” that will be set between Season 1 and Season 2 (which is currently airing on Fox). The new series, titled The Orville Season 1.5: New Beginnings, will be written by David A. Goodman, the producer/writer of the TV show, with artist David Cabeza and colorist Michael Atiyeh filling out the creative team. 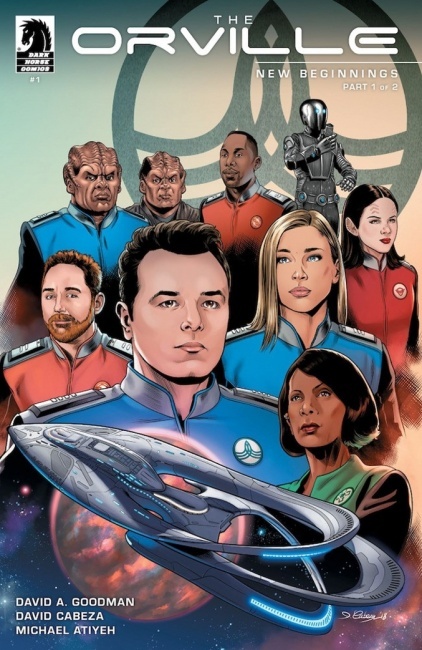 The first episode begins in The Orville #1: New Beginnings, Part 1, which is scheduled to go on sale on July 17. In this two-part story, Captain Ed Mercer and Lieutenant Gordon Malloy leave the ship to check out a distress signal from an antique buoy while Commander Kelly Grayson tries to stop Lieutenant Commander Bortus from enrolling his infant son in school. The Orville #3: The World of Avis, Part 1 kicks off another two-part story. In this episode, the Orville intercepts a Union ship carrying a dangerous group of passengers. During this year’s Toy Fair, WizKids announced it has the license to produce HeroClix figures based on the characters in The Orville (see “‘The Orville’ Memorialized as ‘HeroClix’”).